As more people become chemically “sensitive”, different types of human rights scenarios emerge. 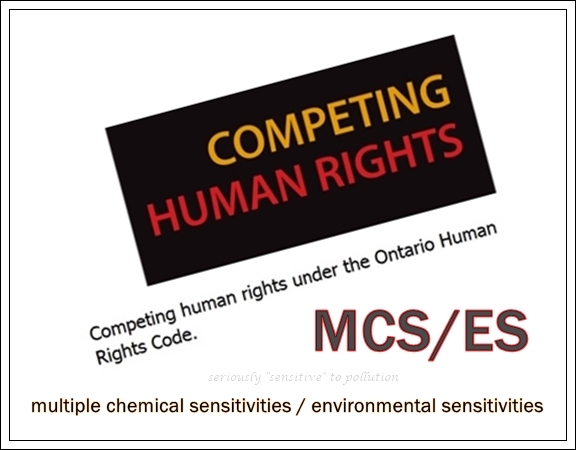 In their latest elearning module, the Ontario Human Rights Commission has included a case study with someone who “has been diagnosed with a chemical sensitivity disability”. Some people think that our need for clean air interferes or competes with their imagined right to use toxic products, especially those with fragrances, but no, there is no inherent right to wear perfume or use other fragranced products! 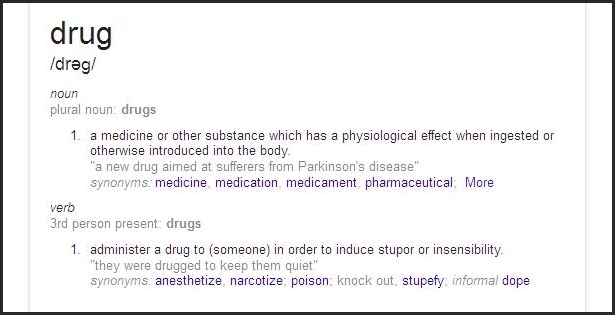 Sometimes, though, someone may need to use a product for a disabling condition of their own. 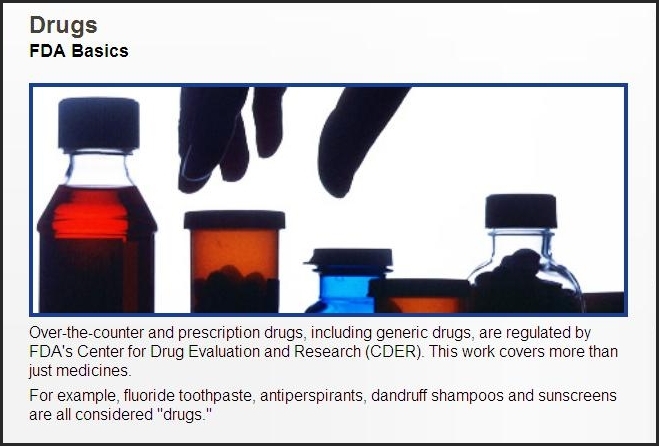 The problems arise if that product has fragrances (or some other problematic ingredients) added which cause disabling effects on another person, as the following case study from the Ontario Human Rights Commission (OHRC) shows. My name is Zoraida and I live in Spain. I was diagnosed with MCS two years ago, but I had been having reactions for a couple of years before that. 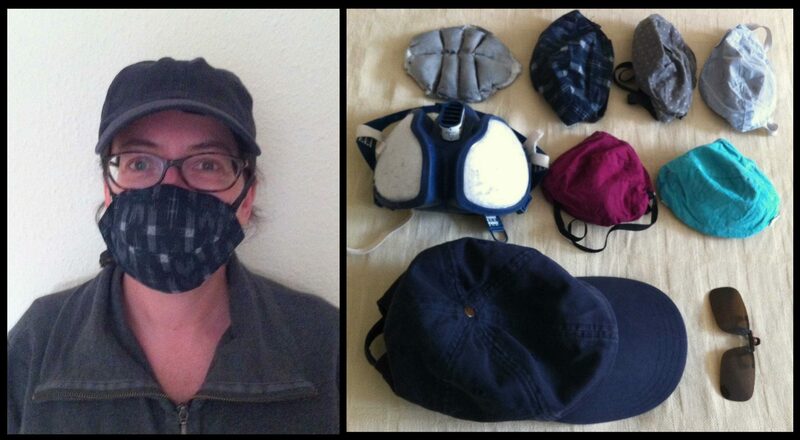 Everything escalated suddenly in 2014, and this was when I began to need a mask for everyday life. There have been many other changes in addition to the mask. Among them, moving to a smaller, less polluted town. Your Fragrance Is Less Regulated Than Fragrance For Pesticides! The world is an exceedingly strange place when products that are designed to kill unwanted and uncared for “pests” have fragrance chemicals added to change the way they smell, and those fragrance chemicals are better regulated than the ones in products we living (wanted and cared for?) humans are sold, for intimate use, on a daily basis. How is it that the fragrances added to pesticides are more regulated than the fragrances we are exposed to 24/7 now, from laundry, personal care, cleaning products, scented candles and air “fresheners” (among others, as everything is fragranced these days)?